I like to watch the store sale ads and stock up on canned items when they are at a good price. My local store had a week long sale on canned goods. Canned fruit was included in this sale and were $.39 a can. When the prices are this good, I stock up on the canned items that I know my family will use. And, I get enough to last 6 months. This is a great recipe to make and is full of flavor. Add all the ingredients to the crock-pot and put the lid on. Let the slow cooker do the rest! This recipe can easily be doubled or tripled. the time will have to be increased some and will need a larger crock-pot. 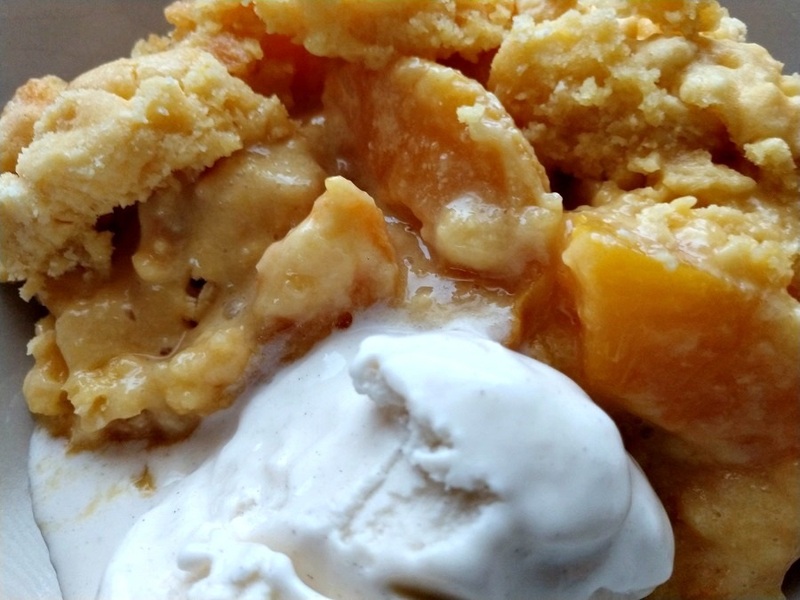 This is an easy recipe to take to a church function or as a dessert for a potluck. This can also be cooked in an oven. Preheat the oven to 350 degrees. Use a well greased 9×9 baking pan. Bake for 40-45 minutes or until the sides start to brown. 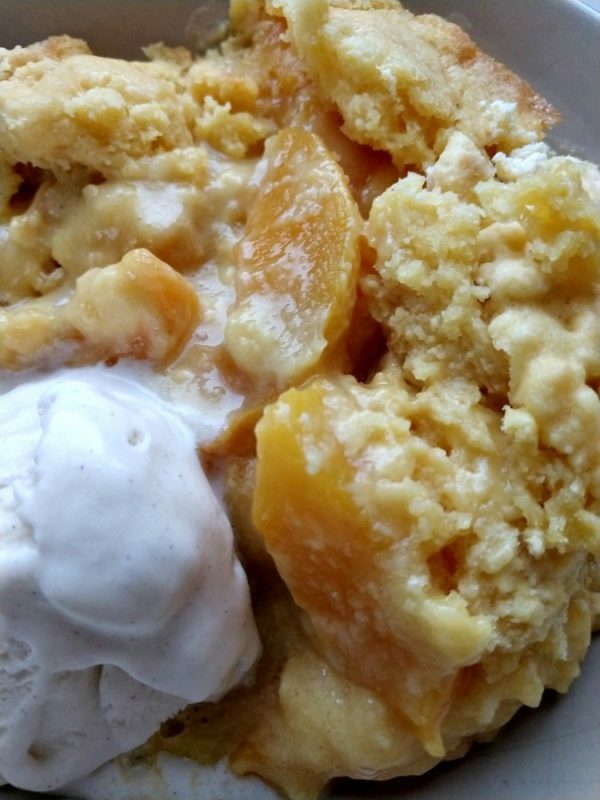 3 ingredients in this flavorful peach dump cake. Easy to make and tastes great. Add can of peaches and the juice to a 4 qt or larger crock-pot. Sprinkle the dry cake mix over the peaches evenly. Pour the melted butter over the dry cake mix covering as much of the dry mix as you can. Serve with vanilla ice cream r whipped cream. This can also be cooked in an oven. Preheat the oven to 350 degrees. Use a well greased 9x9 baking pan. Bake for 40-45 minutes or until the sides start to brown.